By this time next year, I believe we’ll reflect back on 2017 as the year that the private sector stepped up to protect our land, water and wildlife for future generations. I believe this because major retailers, food companies, agricultural businesses and farmers laid the groundwork in 2016, making sizeable commitments to reduce greenhouse gas emissions (GHGs), improve water quality and conserve habitat for imperiled wildlife. President-elect Trump has made political theater by threatening to kill the regulations that protect our nation’s air and water. But in the real world, the private sector is going the other direction. Forward-thinking businesses are rolling up their sleeves and finding ways to make those regulations work better by accelerating the uptake of practices that are good for the planet and the bottom line. These are three areas to watch in 2017. Food and agriculture companies advanced bold sustainability initiatives in 2016. They are all poised to expand. Smithfield Foods, the largest pork producer in the United States, committed to reducing GHGs by 25 percent by 2025. 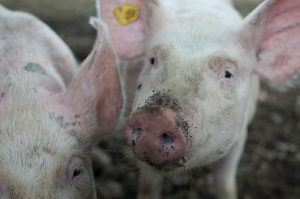 Its goals include nearly eliminating methane emissions from its hog farms by changing manure management techniques. As the first livestock company to commit to absolute supply chain GHG reductions, Smithfield may inspire similar action throughout its industry, just as Walmart set off a cascade of sustainability commitments when it asked its suppliers to reduce nitrogen loss from grain crops. More than 15 companies representing 30 percent of the U.S. food and beverage market developed plans to meet Walmart’s challenge. Campbell Soup Company, Kellogg’s, Smithfield and others have committed to transition 23 million acres of farmland to sustainable practices by 2020. To help reach that goal, Land O’ Lakes’ SUSTAIN is training ag retailers to advise farmers on the best practices for fertilizer efficiency and soil health. 2016 also saw the launch of the Midwest Row Crop Collaborative. 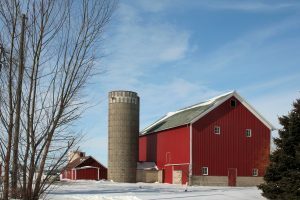 Member companies including General Mills, PepsiCo, Monsanto and Cargill began working together with the growers who supply them to scale conservation farming techniques across three major commodity-growing states: Nebraska, Illinois and Iowa. Crucially, these sustainability commitments were motivated not only by strong environmental values, but by long-term economics. Companies know that boosting agricultural resilience reduces supply chain risk, buffers against extreme weather events and meets changing consumer expectations. The private sector is also coming up with better ways to protect habitat for wildlife. Case in point: the collective effort to keep the greater sage-grouse off the Endangered Species List. The science said the iconic bird was in enough trouble to be considered for a formal listing, which would have triggered top-down restrictions on landowners and businesses across 11 western states. Instead, ranchers, energy developers, agencies and conservationists came up with a market-based plan to protect sage-grouse habitat that averted a listing. In 2017, market-based programs will take another great step forward. For example, the Monarch Butterfly Habitat Exchange is being designed to connect investors, such as those in agribusiness with an interest in keeping the monarch off the Endangered Species List, with farmers, ranchers and other landowners who have the ability to create and maintain high-quality habitat for monarchs. Using an advanced habitat quantification tool to measure conservation outcomes is key to getting the most bang for the buck, and for the butterfly. 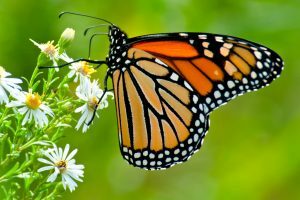 The Monarch Butterfly Habitat Exchange will open for business in spring 2017. Other habitat exchanges will also be coming online for a host of species in California’s Central Valley, presenting additional opportunities for the private sector to combat species decline. As the arid West enters the sixth year of a historic drought, unreliable water supplies and the looming specter of mandatory cutbacks are prompting businesses across the region to take measures into their own hands. They recognize the importance of a dependable water supply and flexible water management to their bottom lines and are implementing efficiency methods and supporting conservation measures. 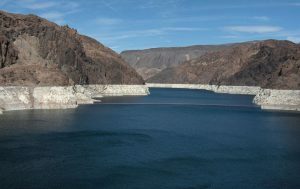 In particular, business leaders in Arizona, Nevada and California – states that rely on the over-allocated Colorado River for water – have voiced their support for the Drought Contingency Plan (DCP), a proactive step to help bolster storage in Lake Mead and reduce the risk of it reaching catastrophically low levels. These businesses rely on a reasonably priced and certain water supply, and the DCP is a crucial step for providing certainty and continuing economic and business growth. 2016 demonstrated that market forces – from supply chain signals to risk reduction – are helping to drive conservation efforts across the country. With regulatory certainty in 2017 and beyond, these forces can foster both economic growth and a healthy planet. This entry was posted in ecosystems, fertilizer, Habitat Exchange, Partnerships, Supply Chain, Sustainable Agriculture, western water, Wildlife Protection and tagged Arizona, at-risk species, california, Campbell Soup, Cargill, drought, Drought Contingency Plan, Endangered Species Act, fertilizer efficiency, General Mills, greater sage-grouse, habitat quantification tool, Kellogg's, Land O'Lakes, midwest row crop collaborative, monarch butterfly, Nevada, PepsiCo, Smithfield, soil health, SUSTAIN, voluntary conservation, Walmart, water quality, water scarcity. Bookmark the permalink. Both comments and trackbacks are currently closed. You guys are doing amazing job for wildlife. I am glad to read about your blog on water and wildlife. While it is certainly encouraging to see these companies finally recognizing changes must be made to protect our wilderness, water and wildlife, I am still concerned about the issue of toxic pesticides, like Roundup or others that include glyphosate, known to contribute to bee die=offs with continued use on crops, etc. – and Monsanto has been one of the worst companies providing this. What would be helpful is for conservation to discontinue using herbicides and treat all land and water as if it was being raised organic. To me some of these ‘management’ programs are not safe to the environment and to the people who apply or impliment them.